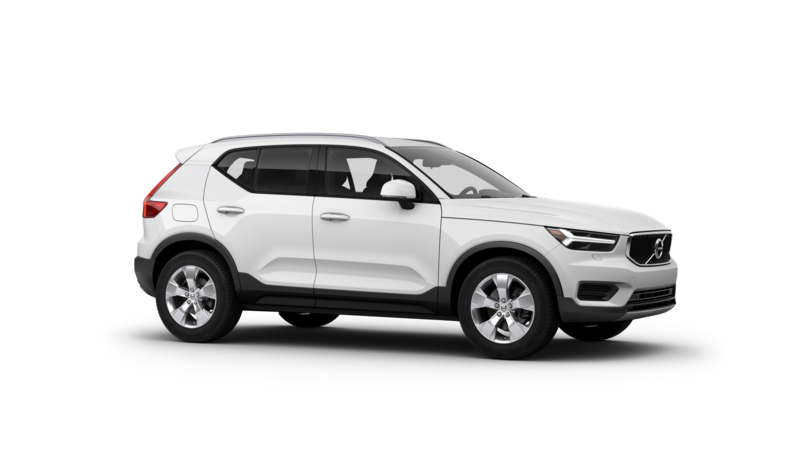 The all-new 2019 Volvo XC40 sets the standard for a compact SUV, highlighted by a striking design, advanced safety innovations, and cutting-edge technology. 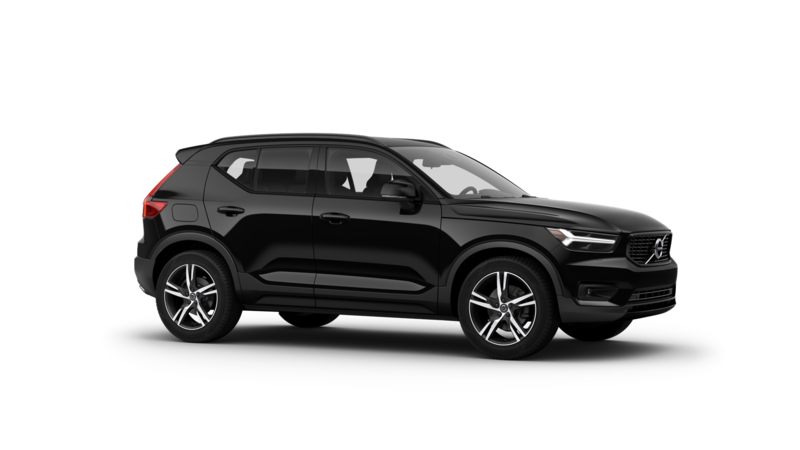 The XC40 arrives in the US as one of the safest, well-equipped compact SUVs available on the market thanks to award-winning technology already found on the XC90 and XC60 models. With the addition of the XC40, the Volvo SUV lineup now features three of the newest vehicles in each of their respective segments. The larger 7-Passenger XC90 remains the most awarded SUV of the century while the mid-sized XC60 remains Volvo's most popular SUV. 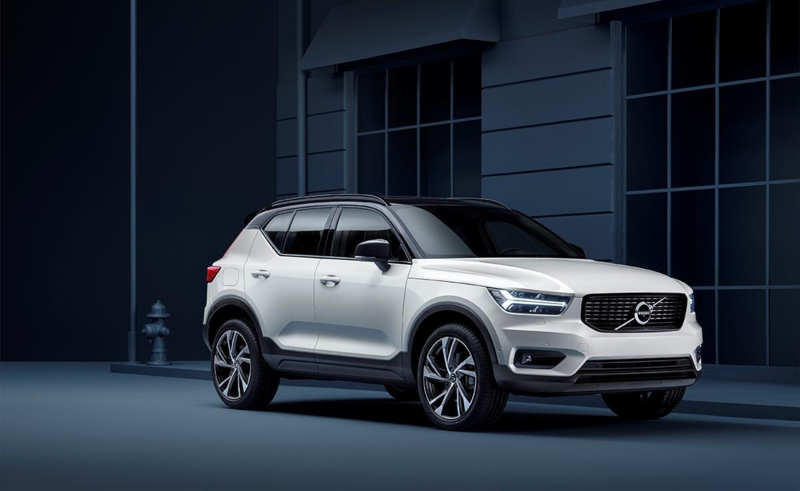 Providing the foundation for upcoming vehicles in the Volvo 40 series, the new XC40 will be the first model on Volvo Cars' new Compact Modular Architecture (CMA) platform. The 2019 XC40 T5 all-wheel drive Momentum trim will start at an MSRP of $35,200, and is powered by a T5 four-cylinder Drive-E powertrain with all-wheel drive. Later in the year, a T4 front wheel drive XC40 will be introduced starting at $33,200. The new XC40 has its own unique character along with tailored innovations designed for an active urban lifestyle. It offers the same engineering benefits of our larger cars, only in a more compact package. Two-tone color schemes available in a variety of vibrant, contemporary colors allow the XC40 to reflect your unique personality. A total of nine different alloy wheel designs ranging from 17 to 21 inches in diameter will be offered. From behind the wheel, drivers can experience the commanding presence of the XC40 thanks to its high ground clearance and athletic stance. The signature Thor's Hammer headlight design complements the bold grille design while announcing your arrival in the XC40. Blending contemporary Scandinavian design with premium materials, the interior of the all-new XC40 is thoughtfully designed to fit your active lifestyle. Tailor the interior to suit your mood, either with natural lighting from the available panoramic sunroof or color-matched integrated LED lighting for added ambiance. Every aspect of the interior has been designed with strong emphasis on everyday practicality. Smart daily use features including a customizable cargo area, integrated bag hooks, and large door pockets offer convenient storage for all of your essential items. A Wireless Qi charging compatible dedicated cell phone storage space eliminates clutter and keeps your phone easily accessible. A standard 9-inch Sensus Connect touchscreen offers a high-resolution display that's as easy to use as your smartphone thanks to standard Apple CarPlay and Android Auto smartphone integration. Volvo continues their legendary reputation for engineering some of the safest vehicles on the road with the new XC40. 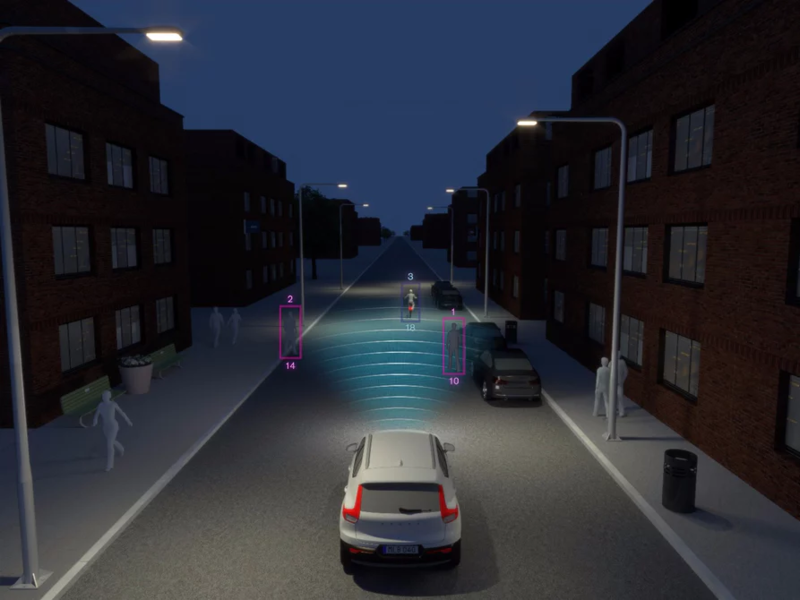 Standard Volvo City Safety technologies found on every XC40 provide added protection from the unexpected on the roadways. City Safety Collision Avoidance technology offers pedestrian, cyclist, vehicle, and large animal detection with emergency autobrake. Additional safety and driver assistance systems found on the XC40 are Pilot Assist, Cross Traffic alert with brake support, and Run-off Road protection and mitigation. Driver Alert Control monitors your steering inputs to see how they compare to your regular driving style, and the system will suggest taking a break should you begin to show signs of drowsiness or erratic driving. Standard emergency brake lights will flash at a rate of four times per second if you need to apply the brakes in a panic stop, minimizing the likelihood of a rear-end collision. 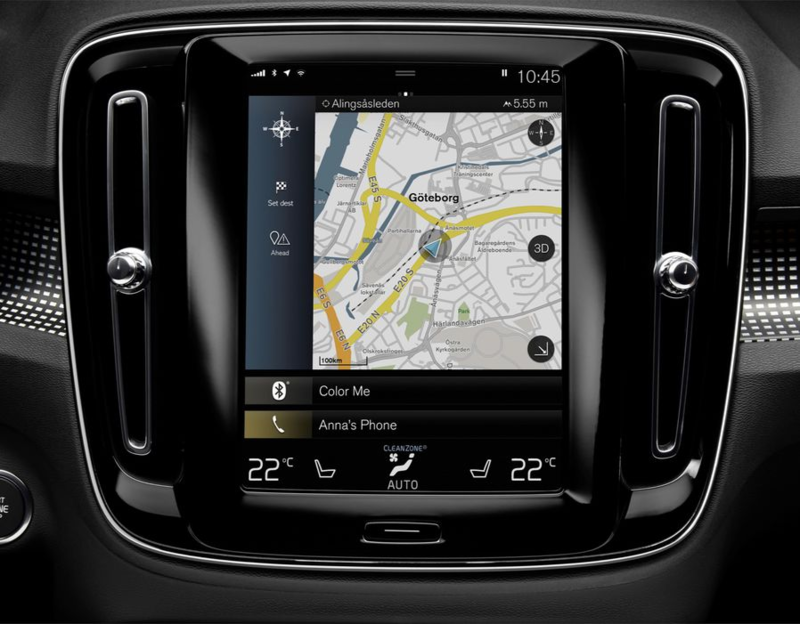 Available Sensus Navigation Pro provides intuitive guidance and connects seamlessly with Volvo cloud-based services and navigation apps featured in the XC40. Make calls, enjoy music, and navigate easily using the touch screen, steering wheel controls, or voice control thanks to standard Apple CarPlay and Android Auto smartphone integration. Virtual Park Assist with 360° camera, rain-sensing windshield wipers, and a hands-free power tailgate each offer added convenience to XC40 drivers. Volvo On Call connects your Volvo to your smartphone and is your digital key to a range of convenient services. A four year subscription to Volvo On Call comes standard on the all-new XC40.